Back in December 2015 I announced here that I was part of an AHRC bid for a large project to study the re-activation of the modernist ruins of former seminary, St Peter’s, Kilmahew, details here . That bid got through to the final round but ultimately wasn’t granted. So, we picked ourselves up and dusted our ideas off and I’m please to report that we have now secured a smaller grant from The Carnegie Trust for the Universities of Scotland that will enable a more modest study of the project to now go ahead. ‘Re-Placing Risk and Ruination: Experimental Approaches to Access, Design and Engagement in Transitional Heritage Sites’. – How do you activate a modern ruin safely? – How do you activate a modern ruin creatively? – How do you activate a modern ruin collaboratively? Responses and findings will be drawn from an interdisciplinary study that investigates the on-going transformation of a Scottish site of international architectural significance and its surrounding historic landscape, Kilmahew-St. Peters (Argyll & Bute). Studying the novel and experimental approach to heritage site presentation and management being taken by artists, architects and designers at Kilmahew-St. Peters, will be the means to produce novel research findings with widespread relevance and applicability. Nationally and internationally, there are a multitude of valued heritage landscapes, in a ruinous, vulnerable, degraded state, requiring equivalent levels of creative intervention for the purposes of rehabilitation and to safeguard cultural legacies for the future. 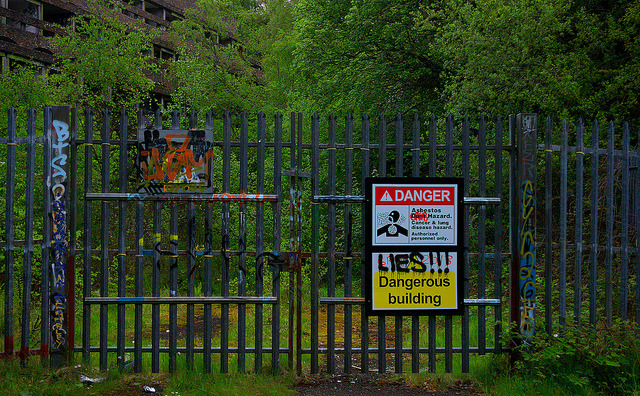 See: http://nva.org.uk/artwork/kilmahew-st-peters/ The post-holder will gather original data through a combination of critical literature review, stakeholder interviewing, and immersive, participatory fieldwork activity in the site under investigation. Data gathering undertaken by the Research Assistant will be managed and supported by the Principal Investigators: Professor Hayden Lorimer (University of Glasgow), Professor Ed Hollis (University of Edinburgh) and collaborators Dr Luke Bennett (Sheffield Hallam University) and Angus Farquhar (NVA). The project team will produce high-quality academic outputs, complemented by a range of dissemination activities. Applications are sought from candidates with an awarded PhD in one of the following subject areas: Cultural Geography, Landscape Architecture, Landscape Studies, Architecture and Design, Heritage Studies, Creative Arts. Closing date for applications: Monday July 31st 2017. Applicants should note that interviews for the post are due to be held at University of Glasgow on Monday 21st August 2017. Projected start date for post: 1st October 2017.